Do yourself a favor and get around Portland car-free. Driving here can be annoying, and parking can be super expensive. On the other hand, our public transportation system is perfectly adequate and relatively convenient. We’ve got taxis and ride-hailing apps, and much of Portland is bikeable—so you can, and should, get around without your car. Tickets for TriMet—busses, MAX light rail, and Portland Streetcar—cost $2.50 for 2.5 hours or $5 for a full day. Kids age six and younger ride free with a paying rider, and the daily ticket prices are $1.25 for kids between seven and 17, as well as seniors (TriMet delicately calls them “Honored Citizens”). The same ticket works across the whole TriMet system, so no need for additional transactions after you’ve purchased one. If you don’t have a smartphone, buy a ticket at a MAX stop or pay with exact change when getting on the bus. But if you’ve got an iPhone or an Android phone, download the TriMet Tickets app and just buy and store your ticket right there. All TriMet routes are integrated into the commonly used Google Maps app as well as Apple’s Maps app, and both, essentially, hold your hand and direct you step-by-step to wherever you’re going. If you’ve got these apps—TriMet Tickets and either of the map apps—you should feel confident about getting around. • 14, which runs on trendy Hawthorne in the heart of Southeast Portland. • 20, through busy Burnside, the dividing point between the north and south halves of the city. 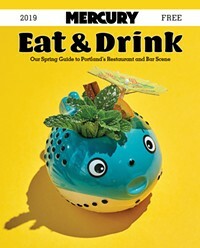 • 4, which, in one direction heads to some cool spots in Southeast Portland (Division), and in the other, to interesting spots in North Portland (Mississippi and St. Johns). Use the MAX if you need to get to faraway parts of town relatively quickly. Buy a ticket before getting on, hop aboard (trains reliably stop every 15 minutes), and show it to inspectors if and when they ask. From downtown, the five color-coded lines (Blue, Green, Orange, Red, Yellow) will take you to different parts of the city. If you’re staying downtown, the MAX is the easiest and cheapest way to get to and from the airport (via the Red Line). There’s a station right at PDX. You can also use the Portland Streetcar to get around downtown, heading north to the Pearl District and south to the Portland State Campus. There’s also a looping line that goes downtown to the Lloyd District in Northeast Portland, to inner Southeast Portland, and back downtown. If you feel like putting as little effort and time as possible into getting around, and are cool with spending some money, the ride-hailing apps Uber (booooo them) and Lyft (booooo them slightly less) operate in Portland. In busy areas, it shouldn’t take more than a minute or two to pull up a car. We’ve also got car2go and Zipcar. There are also plenty of taxi options. Call Radio Cab (503-227-1212), Portland Taxi Cab (503-256-5400), Union Cab (503-222-2222), or any of the other cab companies. Portland is an extremely bike friendly town—but ride safely and stay off the sidewalks, please. You can rent bikes downtown at various places, such as Waterfront Bicycle Rentals (10 SW Ash, #100), Pedalbike Tours (133 SW 2nd), the Bike Gallery (1001 SW 10th), or better yet, use the orange Biketown rental system (see page 7 for lots more on that). Many roadways in Portland are dedicated bike streets that are shared with cars, but are generally very chill. Find a biking/walking map at portlandoregon.gov/transportation/article/391729. Again, stay off the sidewalks!